Daisies On A Flowering Meadow. Summer Floral Background. Bright White And Yellow Camomile Daisy Flowers Against The Blue Sky, Summer And Sun Symbol. Lizenzfreie Fotos, Bilder Und Stock Fotografie. Image 102144137. Standard-Bild - Daisies on a flowering meadow. Summer floral background. Bright white and yellow camomile daisy flowers against the blue sky, summer and sun symbol. Daisies on a flowering meadow. Summer floral background. 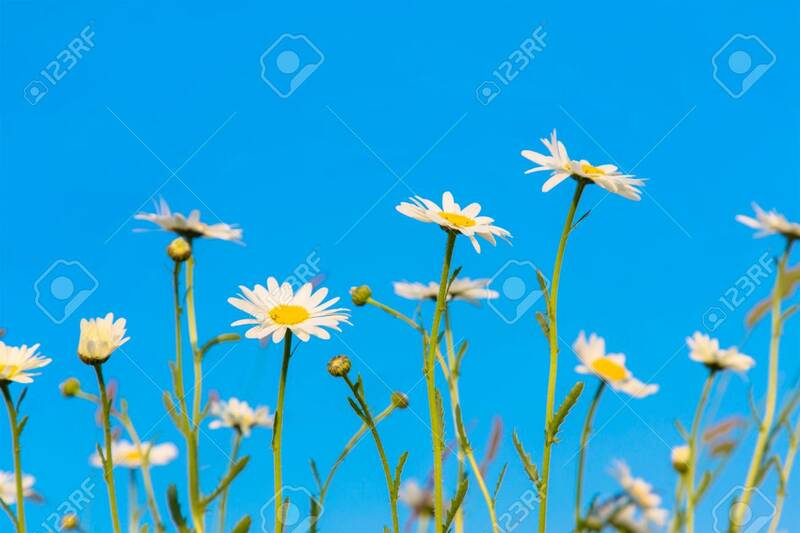 Bright white and yellow camomile daisy flowers against the blue sky, summer and sun symbol.